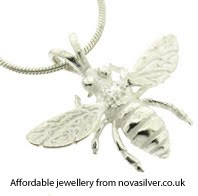 10% off at www.novasilver.co.uk for all readers of this blog. Simply select your products and use the code STRETCH at checkout. Valid on all products and free UK delivery too.